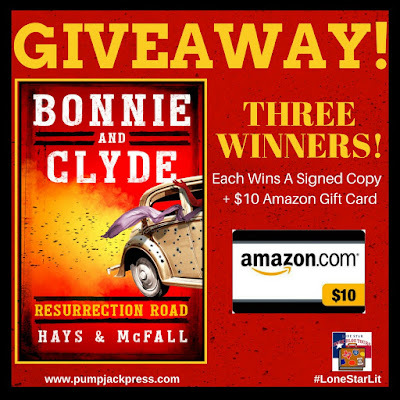 Bonnie & Clyde: Resurrection Road ~ Blog Tour, Review, & Giveaway! In an alternate timeline, legendary lovers Bonnie and Clyde are given one last shot at redemption. The story begins in 1984 when a reporter gets a tip to meet an old woman at a Texas cemetery. Cradling an antique rifle and standing over a freshly dug grave, the old woman claims to be Bonnie Parker. Turns out, she says, it wasn’t Bonnie and Clyde who were ambushed fifty years earlier. Instead, the outlaws were kidnapped, forced into a covert life and given a deadly mission—save President Roosevelt from an assassination plot financed by industrialists determined to sink the New Deal. Thrust into a fight against greed they didn’t ask for, but now must win in order to save themselves and their families, will the notorious duo overcome their criminal pasts and put their “skills” to use fighting for justice for the working class? 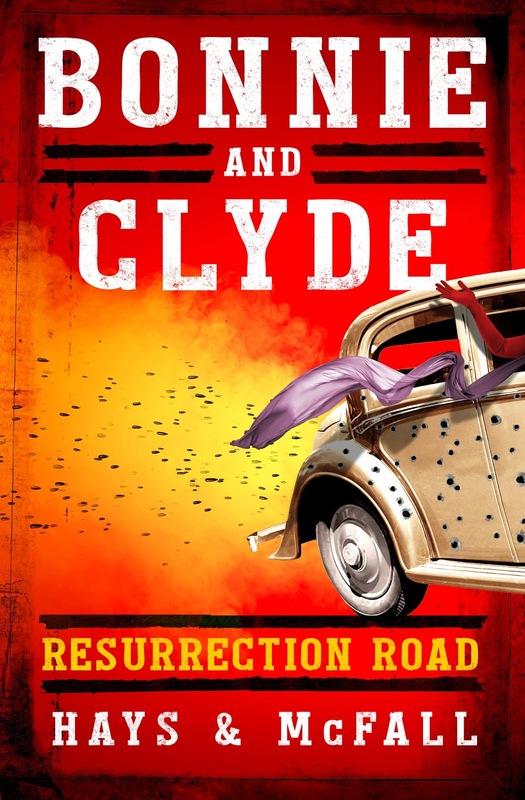 Cutting back and forth between the modern era where the shocked reporter investigates the potential scoop-of-the-century, and the desperate undercover exploits of Bonnie and Clyde in 1934, Resurrection Road is a page-turning sleep-wrecker. HALL WAYS REVIEW: Back in the '70s, I can remember going to the Southwestern Historical Wax Museum and being fascinated with Bonnie and Clyde’s bullet-riddled “death car,” as it was called. There were also wax figures of the two gangsters and a display of their weapons. Their exploits seemed so cold-hearted, yet their alleged passion about each other suggested there was more to them than shoot-outs and robberies. There have been movies and books and even songs written that explored this legendary, deadly duo. But, what if they hadn’t been killed that day in 1934? Would they have disappeared into the sunset and started fresh or would things have escalated with even more death and destruction left in their paths? What if? That’s the hook that pulled me in to reading Bonnie and Clyde: Resurrection Road, and that’s the hook that kept me reading it from start to finish in one day. Authors Clark Hays and Kathleen McFall present a unique premise that takes readers on a wild ride that only seems slightly impossible when set against the current world and political climate. Power, politics, greed. . . it’s all in here along with a sexually charged couple who are renamed Brenda and Clarence Prentiss and who are re-purposed to meet the needs of a secret government operation. The book is well-written and cleanly edited, and the dialogue works well. Through spelling, regional phrases, and interesting sentence structures, readers will hear the voices and accents of the colorful, memorable characters. A clearer picture is drawn of Bonnie/Brenda than of Clyde/Clarence, and authors Hays and McFall do an admirable job of reprogramming readers to accept these less-unsavory iterations of Bonnie and Clyde. The characters begin to show compassion and empathy, and then, there’s the library scene. . .
Told from different viewpoints and with flashbacks, the transitions in Bonnie and Clyde: Resurrection Road are clean and segues between present and past are smooth. Also, the authors use clever chapter headings to keep readers in the story. Readers are expected to suspend their disbelief, and there are times when it is almost too much to believe that Brenda and Clarence, using the same m.o. as freshly dead Bonnie and Clyde, aren’t becoming newsworthy for their exploits -- even as copycats. Further, it was a stretch to believe the characters truly felt remorse for the awful things they’d done. But suspend I did because the book is just that much fun – and because there are hints that Brenda and Clarence are works-in-progress. I anxiously await the next book in the series, Dam Nation, set for a spring 2018 release! Thank you to Lone Star Book Blog Tours and the authors for providing me a gorgeous print copy in exchange for my honest opinion – the only kind I give. A native of Texas, Clark Hays spent his early childhood there and then moved for a decade with his family around the world following the job of his father, a legendary wildcat petroleum drilling engineer, before finally landing on a Montana ranch. 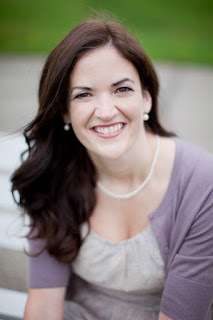 Kathleen McFall was born and raised in Washington, D.C. Between the two of them, the authors have worked in writing jobs ranging from cowboy-poet to energy journalist to restaurant reviewer to university press officer. After they met in the early 1990s, their writing career took center stage when they wrote the first book in The Cowboy and the Vampire Collection as a test for marriage. They passed. Their debut novel was picked up by Llewellyn (St. Paul, MN) with a first edition published in 1999, making it among the earliest stories in the resurgence and reimagining of the undead myth for modern audiences. Since then, Clark and Kathleen have published five novels together—the latest reimagines the life of the legendary outlaws Bonnie and Clyde. Clark and Kathleen have won several writing awards, including a Pushcart Prize nomination (Clark) and a fiction fellowship from Oregon Literary Arts (Kathleen). Their books have been honored with a Best Books of 2014 by Kirkus Reviews, Best Books of 2016 by IndieReader, and a 2017 Silver IPPY Medalist. Holding the Fort ~ ~ Blog Tour, Excerpt, & Giveaway! Dance hall singer Louisa Bell has always lived one step from destitution. When she loses her job at the Cat-Eye Saloon, she has nowhere else to go but to her brother, a cavalry soldier stationed in Indian Territory. But he's run afoul of his commanding officer. Unsure what she can do to help him and desperate for a job, she doesn't protest when she's mistaken for a governess at the fort. How hard can teaching really be? Major Daniel Adams has his hands full at Fort Reno, especially raising two adolescent daughters alone. If this new governess doesn't work out, his mother-in-law insists she'll raise the girls herself--far away from the fort. Miss Bell bears little resemblance to Daniel's notion of a governess--they're not supposed to be so blamed pretty--but he finds himself turning a blind eye to her unconventional methods. Louisa has never faced so important a performance. Can she keep her act together long enough to help her brother and to secure the respectable future she's sought for so long? 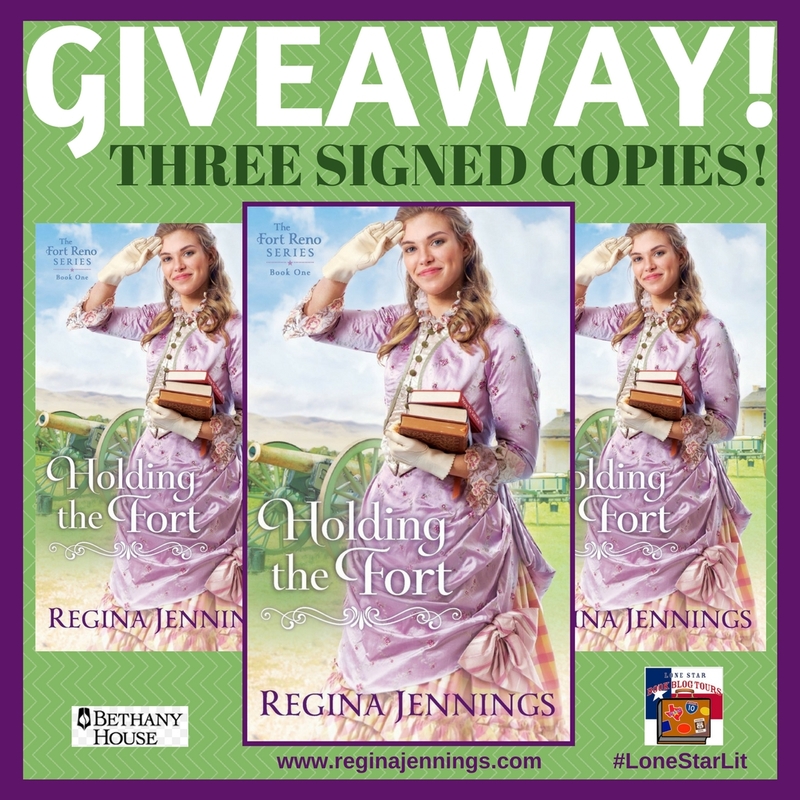 "The first book in Jennings' new Fort Reno series is a delightful read that helps solidify what a wonderful and imaginative writer Jennings is. She manages to create unique stories with interesting and well-developed characters while combining humor, mystery and a sprinkle of faith." "In this character-driven series launch, Jennings offers a powerful lesson on the freedom of truth and forgiveness wrapped in a delightful story of love against the odds." 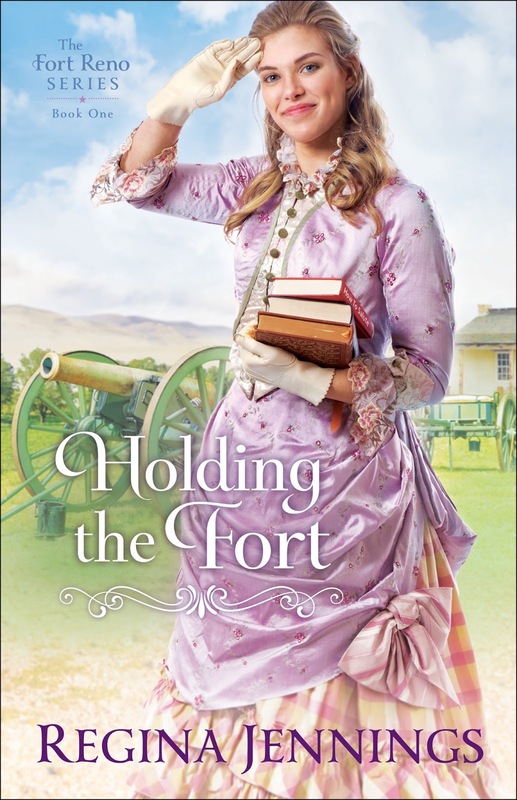 "This series launch is a charming historical romance set in 1880s Fort Reno, OK. . . . Jennings kicks off a new series with a light and enjoyable tale that will delight her fans as well as lovers of historical romance." The fumes of the gaslights at the foot of the stage protected Louisa Bell from the more noxious odors of her audience. On hot nights like tonight, the scent of unwashed bodies in the Cat-Eye Saloon could be overwhelming. Braving a deep breath, Louisa delicately placed her hand against her beribboned polonaise and crescendoed her way into the next stanza. She lifted her head and sang to the rafters so she didn’t have to meet the eyes of her overly interested, overly intoxicated, overly male audience. Their approval meant she had a place to live and food to eat. And while she knew that performing on stage carried certain undesirable associations, it was the only path open to her. She held the final note while Charlie resolved the chord on the piano. The applause exploded immediately. Whistles and hoots filled the air. “That was dandy, Lovely Lola.” Slappy flopped his loose hands together in appreciation. “Lovely Lola, will you marry me?” She didn’t know his name, but the cowboy was there every summer when the cattle made it up the trail. “You’re an angel!” Rawbone cried. Louisa might not be the youngest, most coquettish performer at the saloon, but the purity and emotion of her voice couldn’t be denied. She curtsied elegantly, holding her flounced skirt to the side. Cimarron Ted held up a glass to toast her. She returned his smile as she prepared for her last song of the night. Charlie started the intro on the piano, and Louisa mentally recited her pre-song mantra. I am Lovely Lola Bell. They will be enchanted by my performance and will love my show. She caught movement out of the corner of her eye. It was Tim-Bob, the owner of the Cat-Eye Saloon. With his hand wrapped firmly around Persephone’s white, shapely arm, he was marching through the stage curtains and onto the stage, right in the middle of Louisa’s nightly performance. The pianist wasted no time in stopping and taking a swig from his bottle. The crowd wasn’t as quick to simmer down. “Let Lovely Lola sing!” a man hollered. Whatever was going on, Louisa wished it didn’t have to happen in front of a rowdy mob. Persephone showed promise as a performer on Tuesday nights—that was Louisa’s night off—but she showed more promise as Tim-Bob’s next ladylove. So why was she here now? Persephone’s blond hair—Tim-Bob always preferred blondes—had been arranged to swoop dramatically over one eye. That same eye was kept carefully trained on the scarred stage floor, but there was a self-satisfied twist on her tinted Louisa’s stomach twisted, too, and it had nothing to do with stage fright. Through the smoke-filled room, Louisa could make out Cimarron Ted shaking a fist. Tim-Bob shaded his eyes, then dropped his hand as he recognized the complainer. Persephone fluttered her eyelashes and smiled up at Tim-Bob. He gazed deeply into her eyes as Charlie jumped into action and played the opening notes to the song. The audience, those traitors, barely noticed as Louisa backed away into the shadows. No one interrupted Persephone’s slightly flat opening to call for Louisa’s return. No one tried to stop Louisa from disappearing into the poorly lit hallway. No one except Tim-Bob. Louisa pulled her cascading hair over her shoulder. Tim-Bob had said that about her at one time, but then she’d refused his advances. She’d thought her voice was enough to keep her job. Had he been looking for her replacement all this time? Her mother hadn’t had any friends. Not in the end. “Thank you,” Louisa mumbled, and her feet moved toward her room at the end of the dark hallway. She ignored his weak excuses as they faded behind her. This couldn’t be happening. What would she do? Where could she go? She fumbled blindly with her door, and when her eyes focused again, she was sitting at her vanity stand. Reaching for a cool rag, she began wiping the rouge off her cheeks. Holding the Fort tour with Lone Star Book Blog Tours. 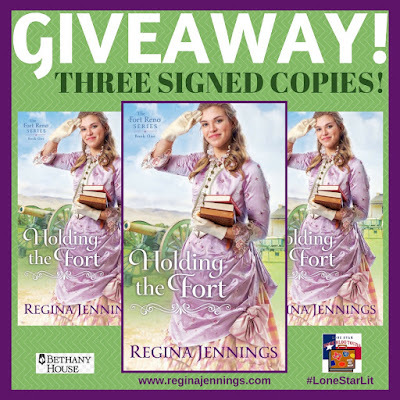 Regina Jennings is a graduate of Oklahoma Baptist University with a degree in English and a minor in history. She's the winner of the National Readers' Choice Award, a two-time Golden Quill finalist and a finalist for the Oklahoma Book of the Year Award. Regina has worked at the Mustang News and at First Baptist Church of Mustang, along with time at the Oklahoma National Stockyards and various livestock shows. She lives outside of Oklahoma City with her husband and four children. 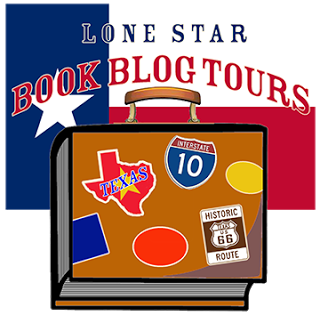 Up Near Dallas ~ ~ Blog Tour, Review, & Giveaway!